Danielle Steel takes us beyond the dazzle of Hollywood in her compelling new novel–the story of one woman’s journey from suburban mom to award-winning screenwriter…and all the joy, heartbreak, and challenges along the way. The phone call came on a hot July day–a day like any other for Marin County mom and freelance writer Tanya Harris. But this call–from Tanya’s agent–was anything but ordinary, offering a once-in-a-lifetime opportunity: the chance to write a major Hollywood screenplay, a dream she had put aside long ago to devote her energies to her family. This time, Tanya knows she cannot refuse, even though she’s torn about leaving her husband and their daughters. From the moment she steps into her lush bungalow at the fabled Beverly Hills Hotel, Tanya is thrust into an intoxicating new world where she feels reborn–energized by the creativity swirling around her–yet the pull of her family at home is strong. Suddenly she’s working alongside A-list actors and a Hollywood legend: Oscar-winning producer Douglas Wayne, a man who always gets what he wants–and who seems to have his sights set on her. Flying home between shoots, struggling to reconnect with a family that seems to need her less and less, Tanya watches helplessly as her old life is pulled out from under her in the most crushing of ways. As her two lives collide, as one award-winning film leads to another, Tanya begins to wonder if she can be a wife, a mother, and a writer at the same time. And just as she confronts the toughest choice she has faced, she is offered another dazzling opportunity–one that could recast her story in an amazing new direction, complete with an ending she never could have written herself. 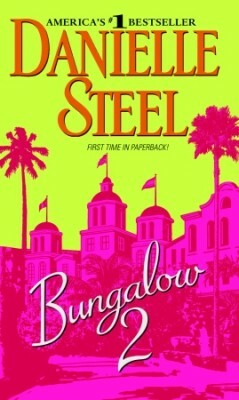 In Bungalow 2, Danielle Steel takes us into a world few ever see–a world of fame and fortune, celebrity and genius–daring to show us the real lives, real dreams, and real struggles hidden beneath the flash and glitter of Hollywood.